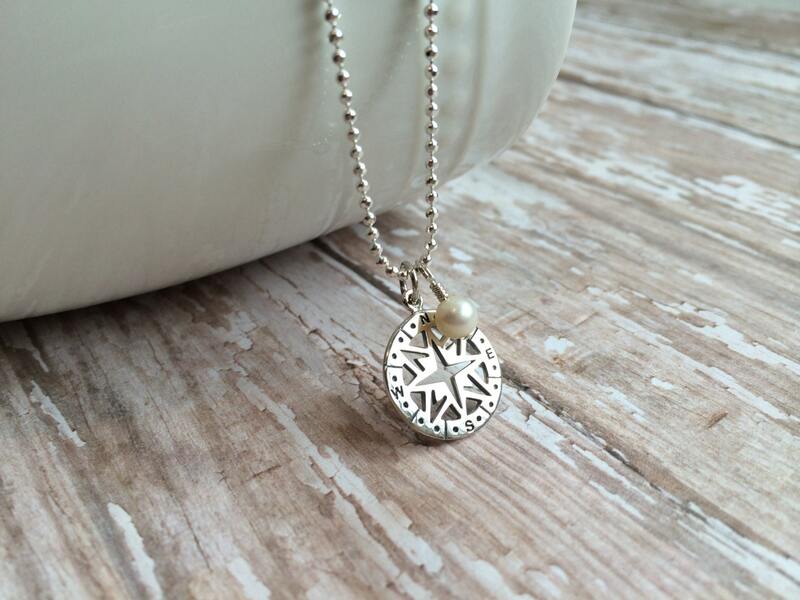 A beautiful sterling silver pendant is a talisman to keep travelers safe and guide them back home. 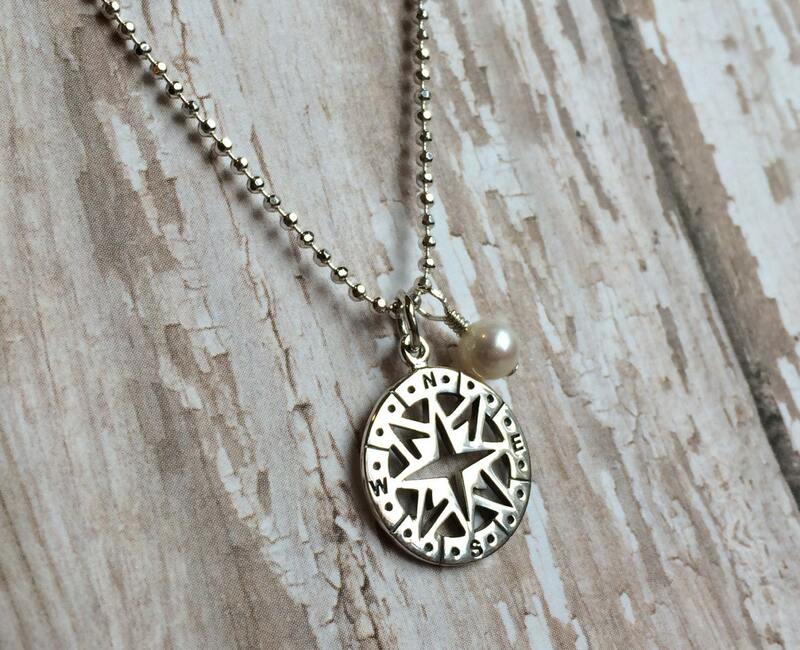 The perfect present for grads, world travelers, or anyone going far from home. 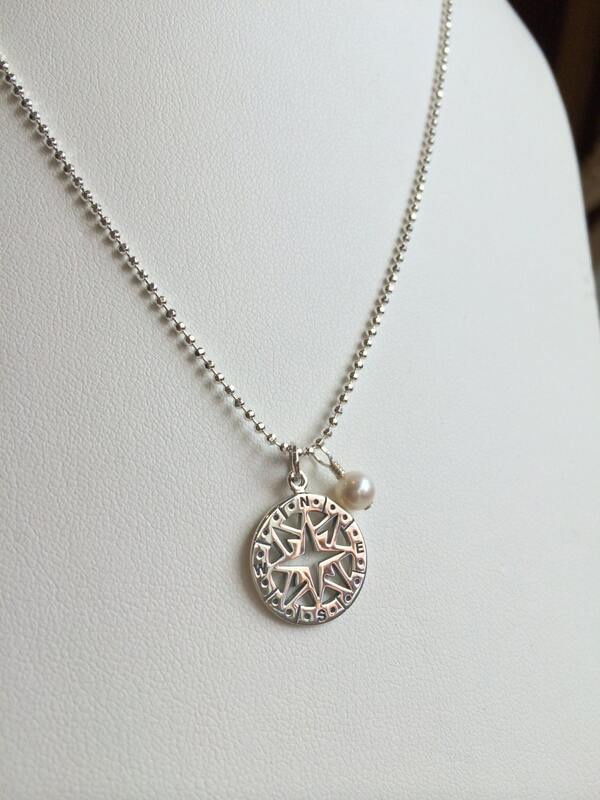 * Compass rose is solid sterling silver. Excellent detail of the cardinal markings. 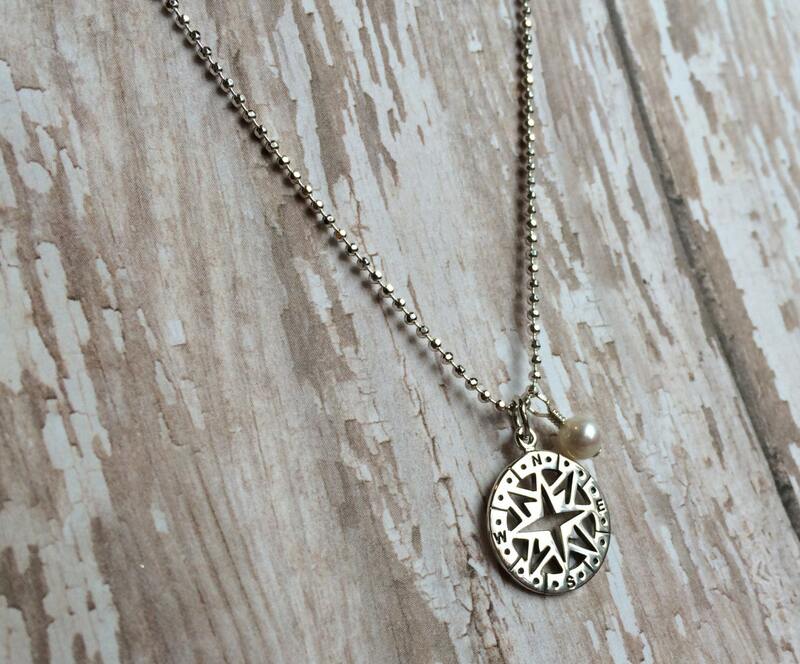 * Compass rose is 3/4" in diameter. Thank you for visiting our shop! 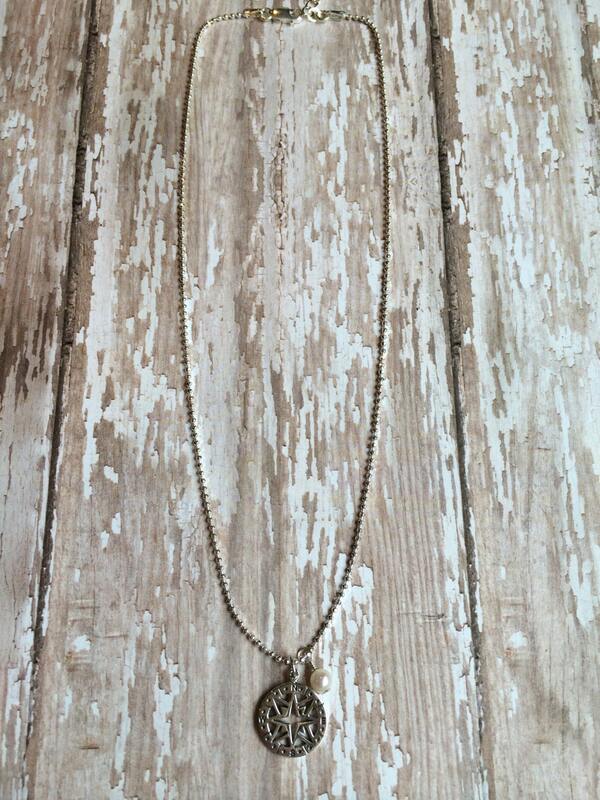 We also take custom orders and can often do a similar piece in different colors if requested. We also off bulk / bridal discounts. If you have any questions regarding this item, please don't hesitate to contact us. We'd love to hear from you! While we try to take photographs that accurately represent our jewelry, please understand that every computer screen is different. Please also appreciate the beauty of natural stones and that no two stones are exactly the same. If you have any questions about stone or component color, please don't hesitate to contact us.